All our channel posts are pre-drilled one inch on center to match up exactly with our predrilled signs. 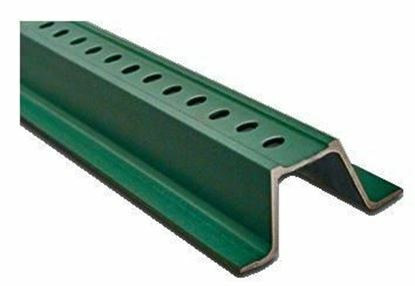 We carry both the green "powder coated" channel posts and the "silver" galvanized posts. Our standard sizes are 3', 8', 10', and 12' in 2lb/ft weights. 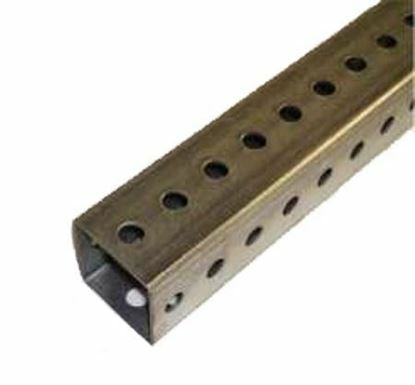 The 3' posts are typically used as stub posts that can be spliced together (see our lap splice hardware) with any of the posts that are 8' and longer, to create taller posts for larger sign installations. 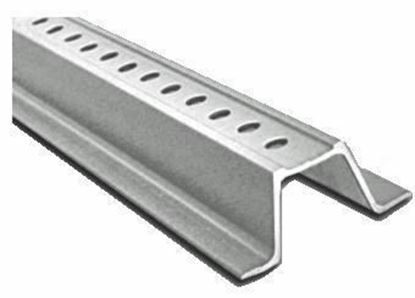 All channel posts are tapered at the ends for easier installation. 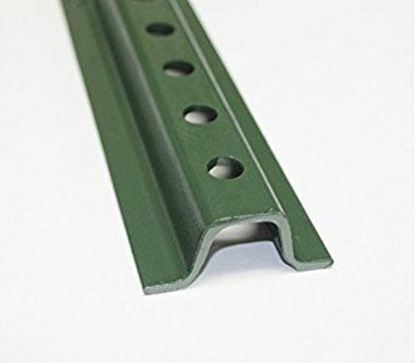 We also offer a lightweight 6' green post at 1.12 lbs per foot, perfect for smaller signs or temporary applications. 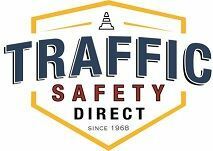 Our 10' Round galvanized post is the standard for use with street signs - while often called a 2" round post, it actually has a 2 3/8" outside diameter.